Utah’s national parks bring people from all over the world and provide locals a respite from daily life. Unfortunately, our national parks are being clouded by a haze of human-made NOx (nitrogen oxide) and PM (particulate matter) pollution being emitted from the Hunter and Huntington coal power plants. The pollution from these power plants reduces the ability to see Canyonlands, Arches, Capitol Reef, Bryce and Zion National Parks by 70% of the year or more! There are solutions available through an industry-standard technology called SCR (selective catalytic reduction), which Pacificorp uses at other plants. EPA analyses found the Hunter and Huntington plants could achieve significant pollution reductions through SCR. So why isn’t Pacificorp using SCR at these plants? In 2015, they made a deal with the state of Utah to close down a coal-fired plant, which the plant was non-compliant with mercury emissions anyway. Then in 2016, because of the regional haze issue, the EPA required SCR to be installed by 2021. Instead of complying with the EPA, Utah chose litigation against them. What can you do? 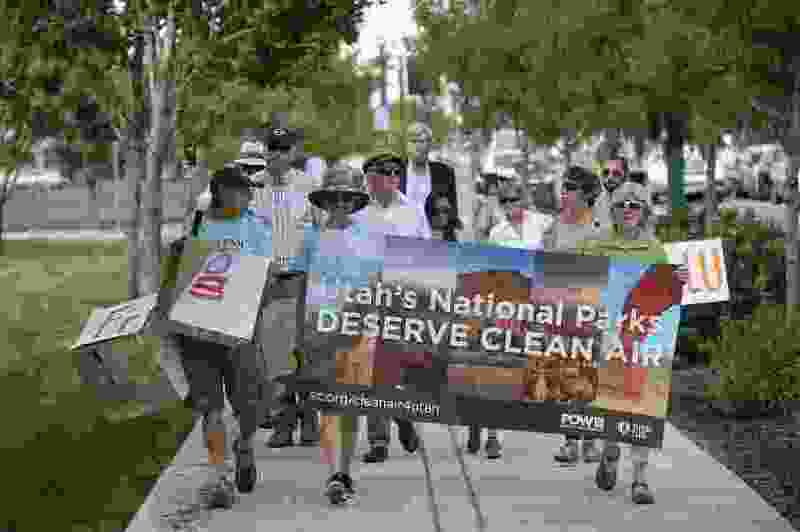 Contact the Utah Air Quality board and ask them to address the NOx and PM pollution and create a regional haze rule with effective actions.